How important is space in a bathroom? Do you really need a huge area in which to luxuriate and relax, or is the room a purely utilitarian space for you? Clara del Portillo Pardo & Alejandro Selma Lázaro, the designers of this conceptual modular bathroom, insist that a tiny but well-designed loo can be the best choice for cost-effective and eco-friendly functioning. 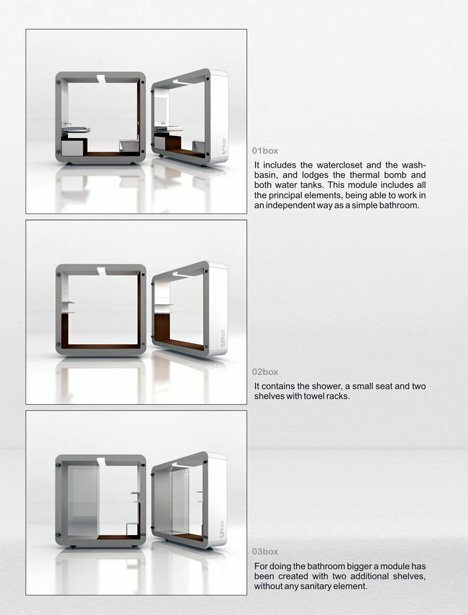 The Roca Box modular bathroom consists of four types of modules. One contains a toilet, sink, heat pump and water tanks. This simple module could conceivably function on its own as a sparse but self-contained bathroom. 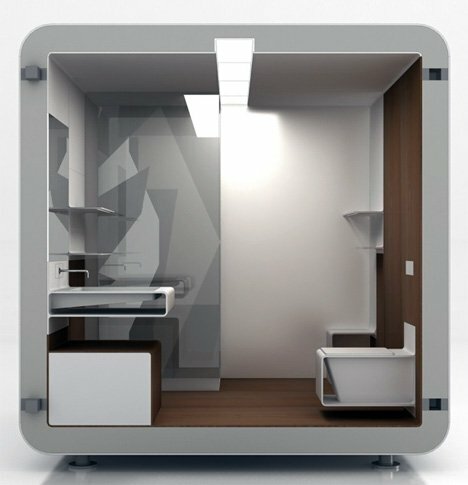 The next module contains a shower, a small seat and a pair of towel racks. 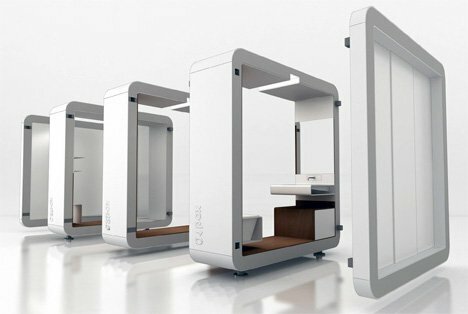 Module number three is simply a space-adding element, containing a bit of additional floor space and storage. 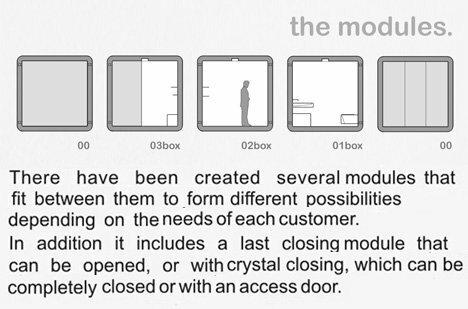 Finally, the end cap units close off the modules with a solid wall or a door. 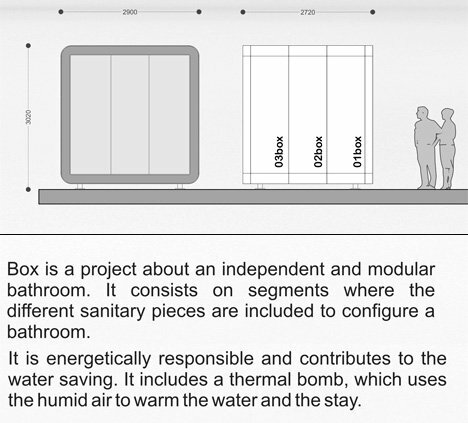 The modular bathroom concept would be very effective in a large open home, like a converted shipping container house. It would undoubtedly need some sort of ventilation, which doesn’t seem to be part of the design currently. The heat pump (which the designers have translated as “thermal bomb,” despite its negative connotations) uses the warm, moist air from the normal functioning of the bathroom to heat the space, theoretically saving on energy.